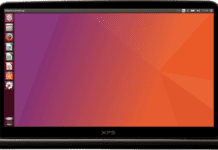 Home Software Operating system How to Fix Appcrash “Some Program” Has Stopped Working? The main question what most of you people thinking right now is, what is this Appcrash and why it’s occurring on your computer? I know it’s really a creepy problem and when this error gets stuck in someone’s PC, it actually makes hard to start a program in a normal way. 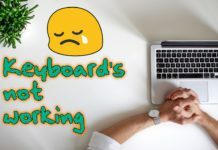 And besides that, I also listed every possible or working solution in this article to make your computer to quickly get rid of this problem. I know it’s really a long topic but I did my best to describe everything in short and make solutions much clearer for you. So now you’ll just need to stick with this article and read and follow everything properly. 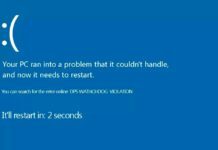 Appcrash is a popup error message shown by the Microsoft Windows mainly when a program won’t be able to execute the process to run itself and remains to create these types of application crash error messages on the screen. Normally the error tells you everything about which program is crashing and also shows you some of the other details like error name, corrupted files names and etc. Here’s the picture of an error message with details listed below. Mainly you get this error on your computer’s screen while when you try to run a particulate software on your Windows or maybe it’s possible that the error shows on most of the installed program of your computer. There are a lot of different reasons why you’re getting this appcrash problem on your computer and the worst part is that you just can’t blame on any single reason. So, it can be an abnormal installation of some Windows update or maybe it just some corrupted DLL files of that software, and the list goes on. And to make things back to normal, now just follow every single step one by one carefully until you fixed this problem on your own. Now the first thing which I wanted you to repair is your Windows files, just to know that this problem is showing you because of some corrupted files of your operating system or maybe it’s just happening because of some faulty installed Program. In this step you’ll be going to clean every junk file stored in your computer’s operating system drive, just to fix these types of error. There are a lot of things like, junk files, temporary files, some old stored update and etc. 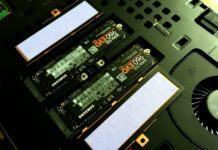 who can turn down your computer’s performance in a really bad condition. But that’s for sure that you can quickly fix it by just performing some simple steps as all listed below. CMD Commands for All Windows Version: Or you can also use these listed Commands in your Windows Command Prompt to clean all those junk files easily, even without searching those suggested folder path location in your windows. Virus!!! Virus!!! Virus!!!…. It’s the only thing which can make your whole Windows corrupted by just compiling the single infected Virus file. Yes, that’s true and it can also be the good reason for this error to get stuck on your computer’s screen. At this time, it’s better to use a professional antivirus in your computer system, if your PC do suffering from any kind of appcrash problem. After installing the good one, perform a full system virus scan by using your antivirus software. If you don’t have any antivirus installed in your computer or maybe your installed antivirus is too blind to scan viruses, then the first thing you’ll need to do is to buy some best in class antivirus for your PC. Nowadays antiviruses are cheaper than it’s before and if you’re looking to install one of the best Anti-virus in the cheaper price range than Avast is one of the best in their kind. You can use the 30-day trial version of Avast and if it looks worthy for you, you can buy the full version pack. Suggested Link: What’s A Good Antivirus And How To Pick A Best One? To repair your Windows files, first, you’ll need to open your Windows CMD command prompt as administrator and then type the “sfc/scannow” command and hit enter. After that, your cmd starts to scan your computer and that will take some time depending on your computer’s speed. In the Start Search box, type cmd, and then press CTRL+SHIFT+ENTER to open it as administrator. After when the scanning gets completed, restarts your computer and try to run your Appcrash responding program. If the problem still not solved then stay continue with this article and move to the next step. If you are using the old software in your latest Windows Operating System, then using the Compatibility Mode option will be quite beneficial for you. 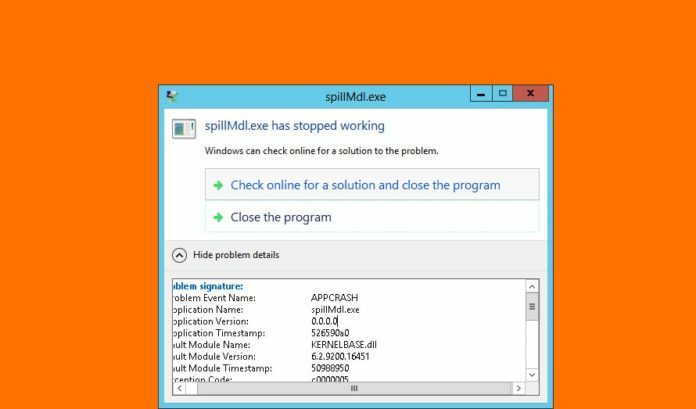 The main problem with Windows 8 & Windows 10 is that some programs can’t be able to run itself, or maybe if they start to work then you’ll get an appcrash in the middle of that program running. So, the main reason is possible that the program you’re trying to run isn’t compatible with your new Windows 10 PC. 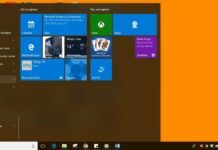 If you still wanted to run Windows 7 or earlier versions of Windows programs in the latest Windows 10 then you have to change the Compatibility mode setting of that program according to its previous running status. To run some of those old rare programs, you can try to run it in Windows XP Compatibility Mode. Right-click the .exe file or the shortcut of your appcrash responding program and select Properties. Check, Run this program in compatibility mode for and select an appropriate option. Sometimes due to changes in files of your system your operating system won’t able to permit that file to get in the process to run and remains to show you Appcrash messages. 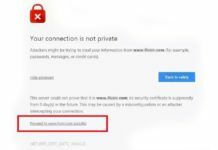 So, in this first step of the advanced solutions, we are customizing the permission setting and grant the permission for that particular program which is creating the crash errors. Now you’ll need to open your Windows System Properties page to get into the main setting what we wanted to open to change the setting. First, go to Start, right-click on the Computer and select Properties. After that, it will open the properties window. Open your computer’s drive home page and find the system properties option on that window’s header. Or, you can press the “Windows key + Pause / Break key” on your keyboard to open it. On the left sidebar, select “Advanced System Settings”. When the ‘System Properties’ window comes up, select the “Advanced” tab and click on the ‘Setting’ button under the ‘Performance’ category menu. Select, “Turn on DEP for all programs and services except those I select:”. Use the ‘Browse’ button to locate your file. In my case, my internet explorer is not working so I’m searching for main internet explorer file and add it to the exceptions list. So, now search your application’s file location and select that program’s installed .exe file what you’ve wanted to add for Data Execution Prevention. After that, just restart your computer and you will able to use that program properly. We normally use the clean boot operation to remove all extra startup process or features which can possibly cause this Appcrash. Actually, a clean boot is performed to starts your Operating System by using a minimal set of drivers and startup programs. To perform a clean boot, open your “System Configuration” and disable all the extra services and startup programs from the service and startup list. Here’s a picture attached below to show you how to do it. 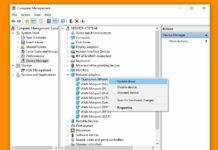 The Windows Registry is a hierarchical configuration storage database that stores settings for the Microsoft Windows Operating System and other installed software in your Windows. 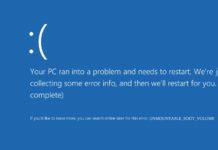 The registry is the main target when a virus or malware starts to corrupt your windows and a single Changed value in your windows registry can cause this appcrash. You can try to fix your windows registry by using some best in class registry cleaner and that will fix your problem by just doing some simple steps. And the best part which I loved about this software is, if you are not happy, then they have a great policy by providing the “60 Day Money Back Guarantee”, Pretty Damn Good Right! Still Confuse? Then: What’s A Good Registry Cleaner and How to Pick One? Just like I said, most of the times this error shows you every little detail what you actually needed to know about fixing this error. Yes, it does, you’ll just only need to analyze the error and that’s it. For the error analyzing process, first, you’ll have to start by reading the error’s description and after that, you’ll need to research some files name on the internet too. As you can see I highlight two things, first which program is creating this problem and second which file is corrupted, who makes that program to create an appcrash. Now we only need the second one to find out about that file, like what it does and how this file affects this appcrash. For research, you need to put that file’s name on the Google and search every detail about it. In my case, it’s a Windows file which is normally found in the installed Operating System Drive and by updating Windows I just fix my problem. Click To See Solution For - If some of your game having an appcrash. It’s possible to see the crash message for the PC’s game too, and if your computer does suffering from this condition then I’ll highly suggest you to download and install some of the softwares which I’m all mentioned down below. 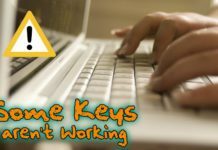 These free supportive software helps your operating system to play the game properly and if one of those softwares got corrupted in your windows, it’s 100% possible that you are this type of problem on every time when that game starts. Download compatible version of DirectX software. Download compatible version of .NET Framework software. If nothing helps you can also try to reinstall your game and sometimes that did works, but before doing that, don’t forget to save your ‘saved games files’. Click To See Solution For - If some software having an appcrash. Update – Yes, updating works all the time you’ll just need to download the latest version of that software and install it properly. Compatibility – Check does everything is compatible with that software or not, if you’ve installed something recently which isn’t compatible with other software then there is a possibility of getting the error. Support – Go to your software’s support web page and create a complaint about your software’s problem. If all of the above solutions didn’t work for you, in that case, you can also try to reinstall that software who creates this Appcrash problem. 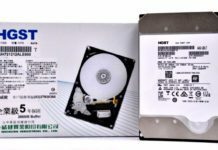 But sometimes it possible that the reinstalling software also didn’t too, in that case, the one thing you can try to do is to reinstall your Windows operating system and after that install the perfect drivers for your hardware. The best publication I read to solve this damn problem. Thank you. Not a single step will erase your data. Sir i am trying to run ucp anticheat 8.5 for counter strike 1.6 but when ever i open it an error occurs “Ucp has stopped working” ive tried different setup but same problem occurs.. what should i do? and is “changing permission for that application” step safe? Thank You Very Much. publication solved my problem that was running since long. which application is making the problem? The module name is ntdll.dll every time i play the sims 4 game the appcrash pop up pls help me..
thanks I worked through what you recommended and I eventually cracked it thanks a lot. Its a Sunday and I have to get this accounts finished. Sir, i use windows 8.1. In my lap i played ea cricket 07 in last week. But now whenever i open cricket.exe file it opens and i select my team, overs, ground and team members then i put the toss hear there is no problem but when i enter to play game within 1 minute the game is stopped working. I face this problem only this week. I try compatability mode and sfc/scannow but the problem cannot fix what should i do ? Could u please help me ? Do you installed every driver correctly? Tried to reinstall the program? What you used to install the program, just download and install the latest version of the setup from the internet, and use your own serial key for the registration. Contact the support, I think. What do think of this one !!? I did reinstall everything 3 times on my server with no luck… Can even turn DEP for that app. Not sure what to do anymore! Maybe the software support team will help you with that. Hi. thank you for your reply. I uninstalled it. I cleaned the registry and then I installed it again but it did not work. You can try to update your video card drivers too, and in case if that won’t work either then updating the OS is also a great way to fix an app crash problem. I suggest to re-install your OS first, and then install the antivirus and games. bro how to run need for speed most wanted game 2012 without any problems , problem event name APPCRASH what can i do. Install the compatible version of DirectX. Hi, I’m a musician. I need a teamviewer to control my remote recording program from another laptop. But the pc has locked teamviewer and it does not run. Use Windows 8. Help me solve this problem. Thank you very much in advance. Hello there, i have download application to my comp but cannot open it,,its write cefsharp.browserSubprocess has stopped working, a problem caused the program to stop working correctly. Please close the program…can give me advice how to solve this problem?? I have tried all of the items mentioned in your post. But, STILL, most of the programs on my computer, Windows 7 Home Premium, do not open, or they open sometimes and not the next time. Even the factory HP installed help programs have stopped working. Bejeweled 3, Doom 3 BFG, Even the Microsoft installed Solitaire do not work. Adobe DC, Weather Bug. The gadgets program in Windows 7 as well. YES, I have tried reinstalling ALL Of the programs for which I have CDs, MULTIPLE TIMES. Would upgrading to Windows 7 Ultimate help. I’m not sure that it will. I think installing the fresh windows will help. So don’t just upgrade it, make it a fresh install. my computer failed to run helicopter game. Windows 8.1.
try to re-install the program. first all of thanks for your best topic. try to reinstall the problem. try to reinstall the software, if it didn’t work, then try to reinstall the network drivers too. try to reinstall the OS. please help me about that. Sir i have a problem regards MS OFFICE installation setup. I can run setup so the setup starts and fast hide and suddenly open “Setup Has Stopped Working” error. Sir please help me how can i fix this error i m use windows 8.1 64 bit my laptop is Zed Air 32gb and 3gb. Are you using a 64-bit or a 32-bit office setup? sir ive beenreinstalling my crossfire game many times but still the app game luncher says you cannot run this program directly….what’s the possible solutions sir? did you try every solution?